Come see this lovely ranch style home, ideally situated on a corner lot near the Westridge Recreation Center! The highly desirable floor plan features 4 bedrooms plus a study, 3 bathrooms, and a fully finished basement with media room for expanded living space. In the updated kitchen, you'll find gleaming tile and wood flooring and newer stainless steel appliances. The master bedroom features a luxurious en-suite five piece bathroom. The spacious deck overlooking a serene back yard offers the perfect solution for outdoor entertaining, while the charming front porch is perfect for sitting and relaxing on warm summer evenings. 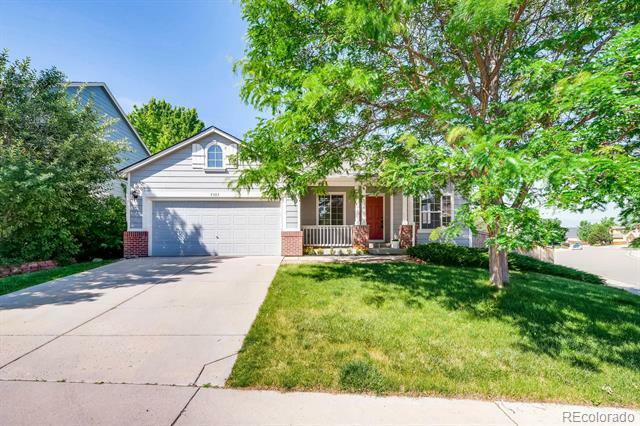 Just a short walk to nearby Marcy Park, as well as shopping, dining, and all the conveniences Highlands Ranch has to offer. Clean and move-in ready - this home will go quickly, so don't wait to make it your own!